Q. How do I reserve a DOI for research data in ORDA? 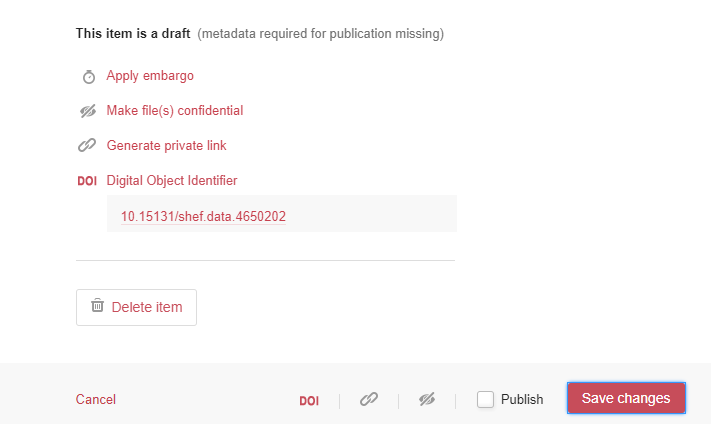 If you have unpublished research data in ORDA and need to provide a journal publisher with a DOI for the underlying research data, you can do this without having to publish the data first. 2. 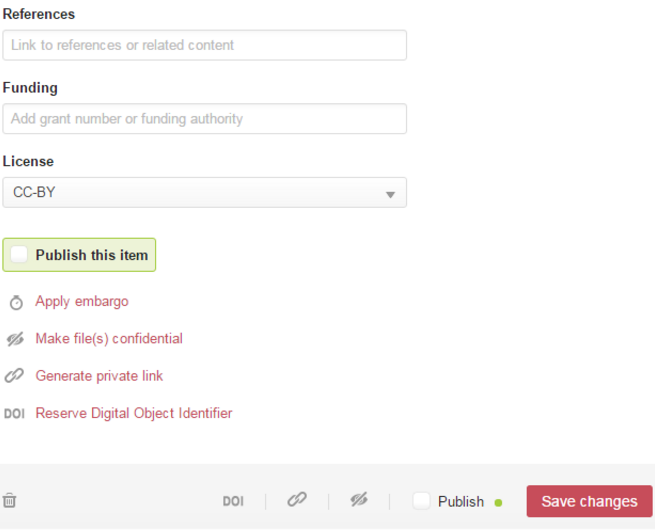 Click on 'Reserve Digital Object Identifier’, at this point you will be offered a DOI. 3. This will only become active when the item has been published, but the reserved DOI may be copied and used to create data access statements or data citations in research papers awaiting publication.